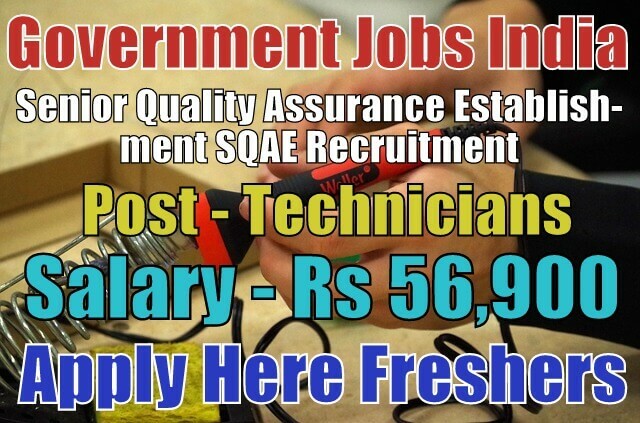 Senior Quality Assurance Establishment SQAE Recruitment 2018-19 (Ministry of Defence, Government Jobs in India) notification for 04 technician posts. All legible and interested candidates can apply on or before (06-10-2018). 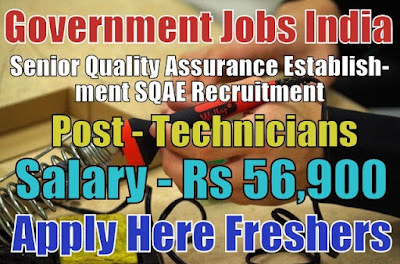 Further information about the Senior Quality Assurance Establishment recruitment courses and exams, vacancies, salary details, SQAE careers, application fee, cantonment board jobs, DGQA-SQAE government jobs, educational qualifications and all other details/information about this post is mentioned in detail below. 1. Technician (SS) - 04. Last Date for Submitting Application Form - All candidates must apply on or before (06-10-2018). After the last date, no application form will be submitted.